Observation - Shell - UK and Ireland. Description: Tidal area, may have had some surface features partially eroded. All are of roughly this size. Thought to be cowries, but which species? Tidal area, may have had some surface features partially eroded. All are of roughly this size. 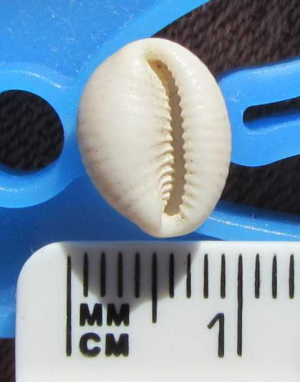 Thought to be cowries, but which species?